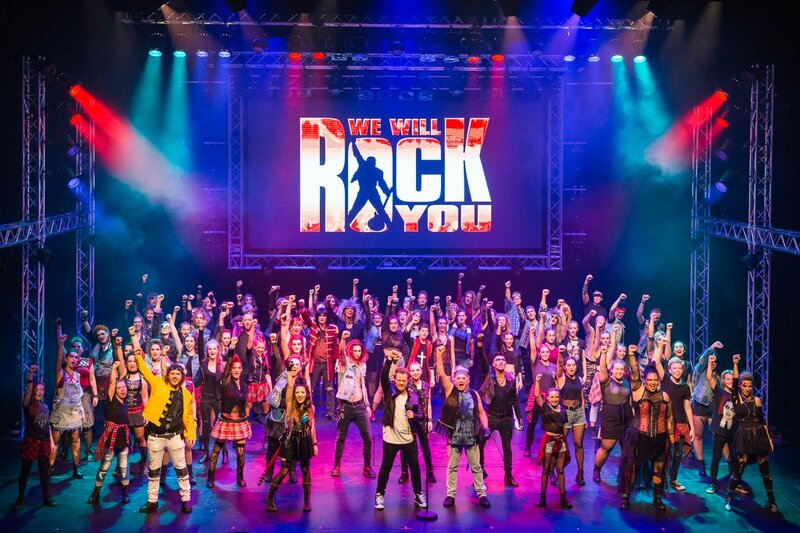 Barbershop singing has been featured in the rock musical We Will Rock You. Staged at His Majesty’s Theatre in Perth with a semi-professional cast, a number of members of Vocal Evolution were involved. The show starred well known Australian performer Normie Rowe, and also Chris and Courtney Murphy (of Australian Idol fame). The producer and director of the $500,000 show was Trevor Patient, a Vocal Evolution member, who has helped VE stage a number of innovative performances, including last year’s Funhouse at the Perth Fringe World Festival. We Will Rock You is based on the music of Queen, with script by Ben Elton, and it has played to hundreds of thousands of people around the world. The Perth season played to over 8,000 in ten performances over three weeks. Trevor was determined to use barbershop singers for the A Cappella introductions to the songs, Fat Bottomed Girls and Bohemian Rhapsody in the show. The audiences have gone absolutely wild over the skill of our barbershop singers, and the cast, who are widely experienced musical theatre performers have also been blown away (including Normie). The show featured a 40-voice choir which was directed and rehearsed by past BHA President (and current Music Judge) Ian Mulholland, and included VE members, Mike Dagless, Phil Williamson and Rob Murray. Ian also acted as vocal coach for the whole cast (including principals). In addition, the “Bohemians” who have a major part in the show included Andrew Milner, Ash Schofield (BHA Performance Judge), Bill Nicol and current BHA President (and Performance Judge) Dan Millgate. Each night, in their Bohemian costumes, Andrew, Ash, Bill and Dan sing the a cappella intros, except on the nights where Ash played the lead role of Kashoggi (which he understudied), and Ian swung in to cover him. The boys have met Ben Elton, and also the cast received a special video from Brian May (member of Queen) wishing them luck for the season. 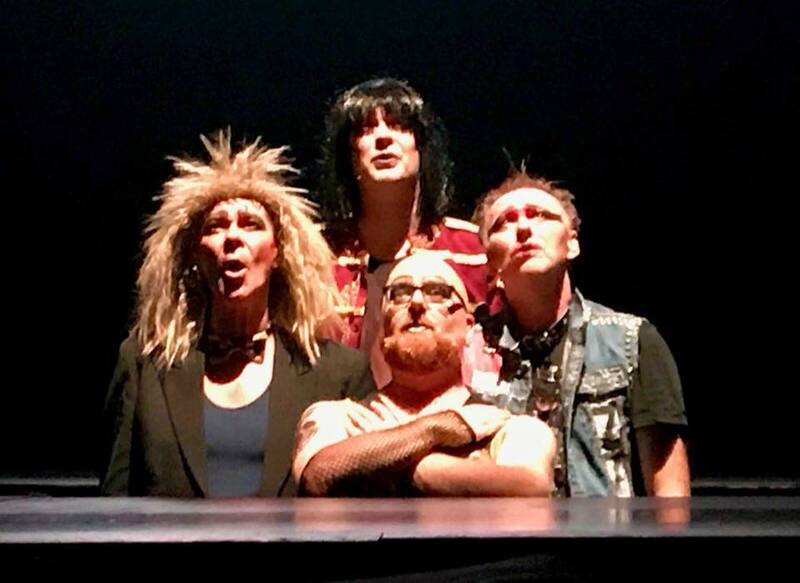 An extra special outcome has been the posting of Andrew, Ash, Ian and Dan singing the a capella intro to Bohemian Rhapsody on Queen’s WWRY website. World notoriety for Australian barbershop! Check it out at http://www.queenonline.com/news/new-we-will-rock-you-website.